Whether you are an engineering student or have got yourself a seat in a fancy media college, the college years are an important phase, and the balance between style and practicality is your biggest lesson in your college learning. So choose the right gear to accompany you to college. Get a bag pack, a must for every college student in India (considering the changing weather and the public transport systems) that suits your needs and yet makes a style statement. 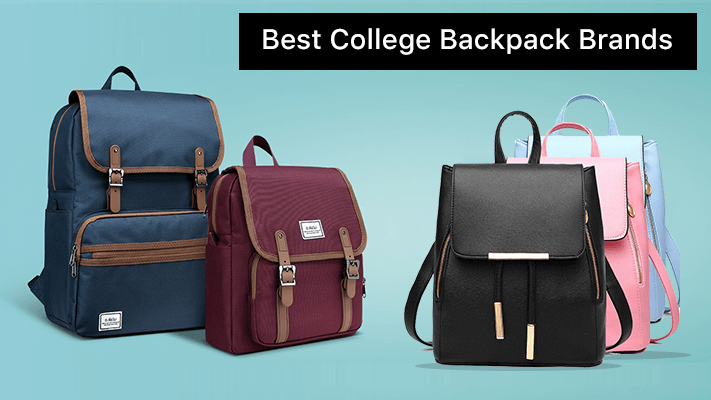 We have put together a list of the best college bag/backpack brands in India of 2018 keeping good looks, practical design and durability in mind. Go ahead and find the one best suited for you. In the bag making business since 1959 Harissons is one of the best known Indian college backpack brands today. The company makes bags of all sorts for retail consumers and corporate clients. The logo embodies the company’s brand philosophy with an H in a circle. The extended H represents the name Harissons and the lines touching the edge of the circle represent the company’s endeavour to reach every region of the country. 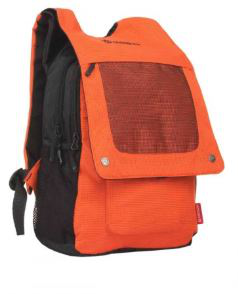 The Carbonite Orange Backpack is made with durable water resistant polyester. It has two compartments, four pockets and padded broad shoulder straps for carrying it comfortably. Checkout GreatBuyz’s vast collection of Coupons on Backpacks from various brands all in one place. Puma is one of the best known sports brands in the world, a market leader for 65 years. This German company manufactures a huge range of sports gear and equipment, and sportswear too with its products selling in more than 120 countries worldwide including India. 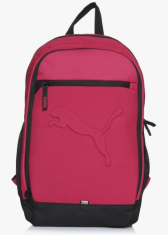 This Puma Buzz Pink bag has the Puma logo embossed prominently across the large front pocket. Black details make it look uber stylish while it has multiple pockets apart from the main compartment to make it practical too. A completely Indian brand Chumbak was founded in 2010 as an online site for India themed fun gifts. The company soon branched out into many products including home décor, clothing, bags, and much more. Today the Bangalore based company retails products in over 100 categories created using their basic philosophy #makehappy. 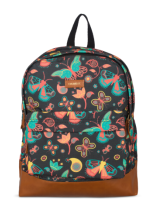 The Butterfly Effect Backpack is smart and stands out. There are two main compartments including a padded laptop compartment, two side stash pockets and a large pocket on the front. 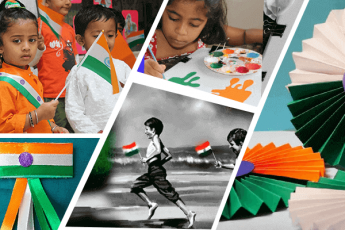 Follow Chumbak Streamz on GreatBuyz to stay updated to their latest news, sales,offers and more. 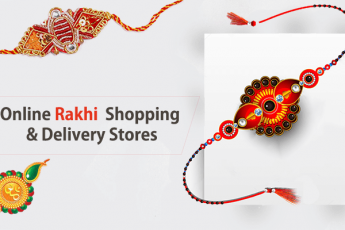 Get Chumbak coupons on GreatBuyz for your Online Shopping. Superdry is a very contemporary brand that combines American, Japanese and British design elements and styles to create distinctly fashionable garments and accessories. Now available in more than 100 companies worldwide, Superdry is also available in India. 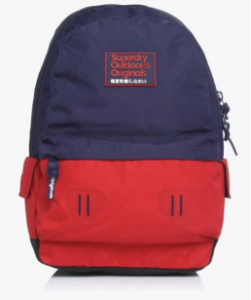 This navy blue and red backpack boasts a smart colour blocked design. The material is polyester and the zipper pulls and the front of the bag have the logo on them. 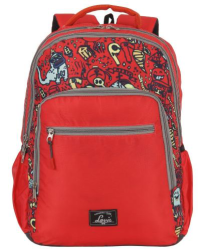 With ample space for books, laptop, and other essentials this backpack is a great choice. Wildcraft started in a garage when three friends got together to fill the gap in the Indian market for outdoors and adventure products like backpacks, tents, sleeping bags, etc. The business grew rapidly and today Wildcraft is known for its top quality products not only in the adventure sector but even for mainstream use. This Wiki Laptop Backpack has a flat laptop sleeve, an inbuilt rain cover and loads of pockets. The advanced air way system in the back keeps you ventilated and your back dry of sweat even on the hottest of days. Durapack is a very new company that has entered the backpacks sector, established just in 2016. This Delhi based brand was founded by a team of four and is part of the Everpack Group. 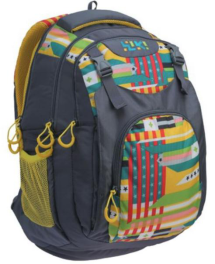 They have a wide range of backpacks suited for a variety of uses be it travel, hiking, or office/college. 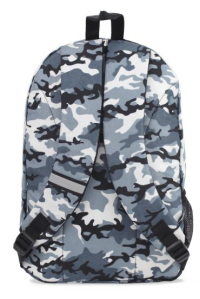 The Metro Uno Camo Backpack from Durapack can carry up to 10kg load. The water repellent fabric makes it ideal for college use in all weather throughout the year. Started in 1964 as Blue Ribbon Sports, the brand Nike came into being in 1971. Based in Oregon in America, the company is the world’s largest supplier of athletic shoes and apparel. The distinctive ‘swoosh’ logo is recognised nearly everywhere in the world today. Nike is not limited to shoes, sports equipment and gear but also has a huge range of apparel and accessories, including backpacks that are suitable for school and college. 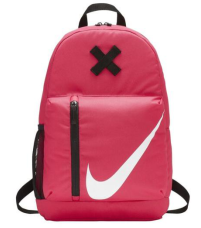 The Nike Elemental Pink Backpack has the iconic Swoosh emblazoned on the front. You can store a ton of stuff in the multiple compartments and keep your stationery organised in the removable pencil case. 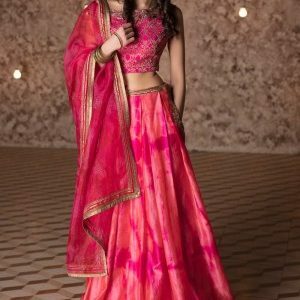 Get it here for Rs 1,634. Launched in 2010 Lavie is one of the leading brands for ladies’ bags and purses today. Known for its stylish and trendy designs and colours the brand has extended its product line to include backpacks. The Lavie Explorer Backpack is not only bright and eye-catching; it is sturdy and will withstand the daily commute to college easily. Two main compartments, padded shoulder straps, two bottle holders and two zippered pockets plus an organiser make this bag very functional too. The Flying Machine brand has been around since 1980 and is one of the best known brands from Arvind Mills, the first makers of denim in India. Started as a jeans brand, Flying Machine today has numerous products including a full range of men’s and women’s fashion garments, and accessories including bags and backpacks. 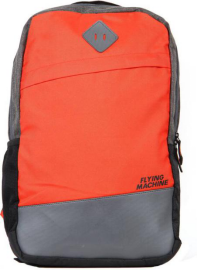 This bright laptop bag from Flying Machine has a capacity of 24 litres and is reasonably roomy. It comes with a laptop sleeve and also has a rain cover. Reebok is a British sportswear brand that was established in 1958 as a part of JW Foster and Sons. Since 2005 it has been working as a subsidiary of global giant Adidas and its headquarters moved to Boston in 2016. The name Reebok comes from Afrikaans word for the grey rhebok, a type of African antelope. Mainly seen as a manufacturer of top class athletic shoes, Reebok also has apparel and accessories in its long list of products. 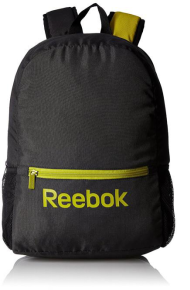 This Coal Casual Backpack has the Reebok name boldly placed across the front. Adding an extra dash of style are the two coloured padded straps. There are two compartments with space for a laptop and there’s a zippered compartment in front for easy access. Shopping for a college backpack just got super easy. Scroll through this line up of the best college back brands and buy one right now!